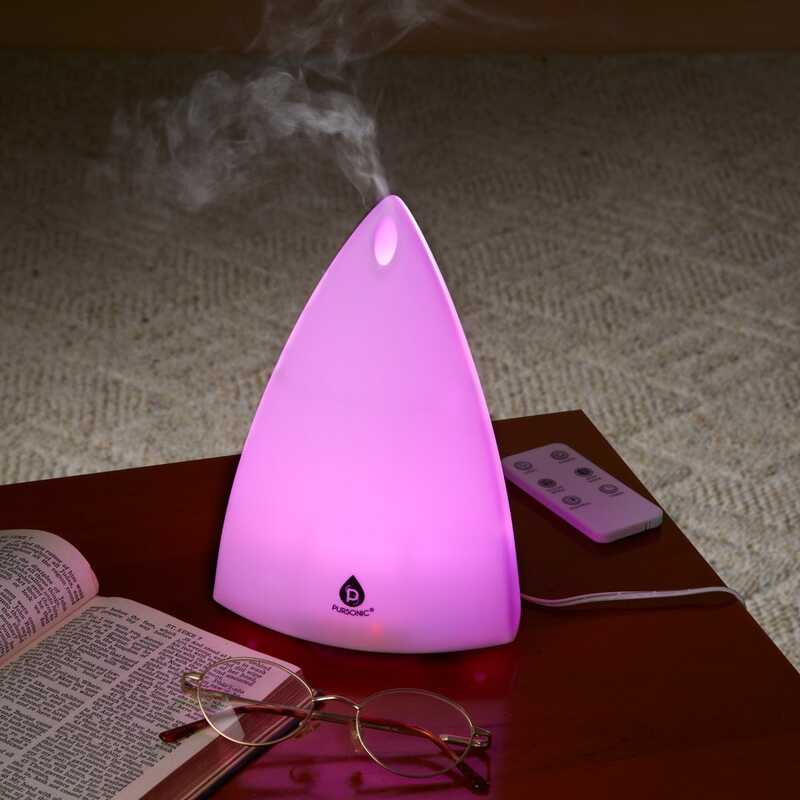 This Essential Oil Diffuser with Remote is a mini humidifier, aromatherapy and air freshener that helps offer an array of health benefits and spa-like atmosphere. 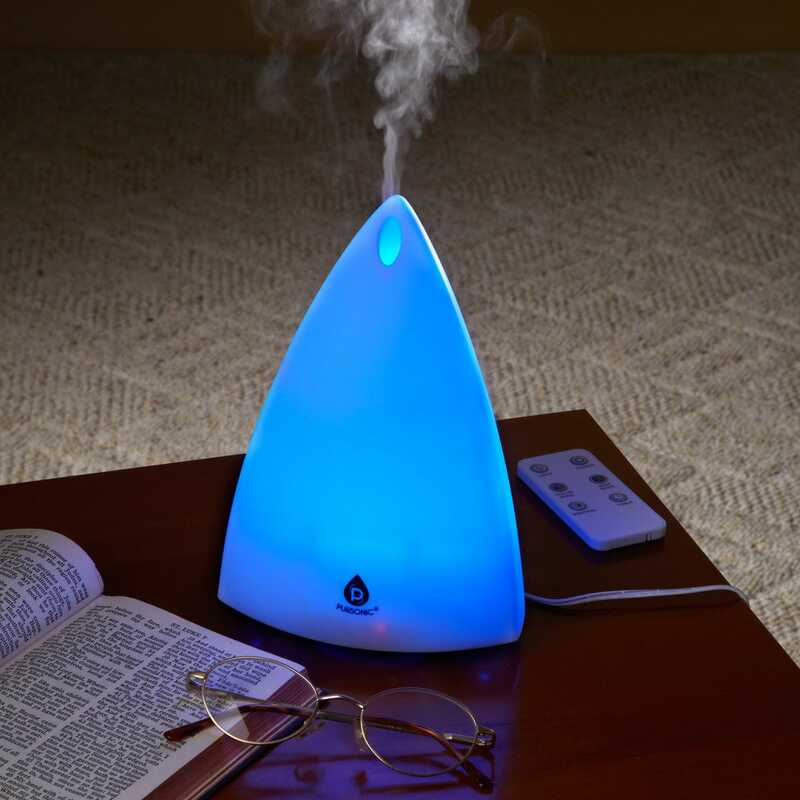 The way this Diffuser operates is that it vibrates at a steady and high frequency that makes the molecules of water and essential oils so tiny they are transformed into a mist that fills the air in the room. 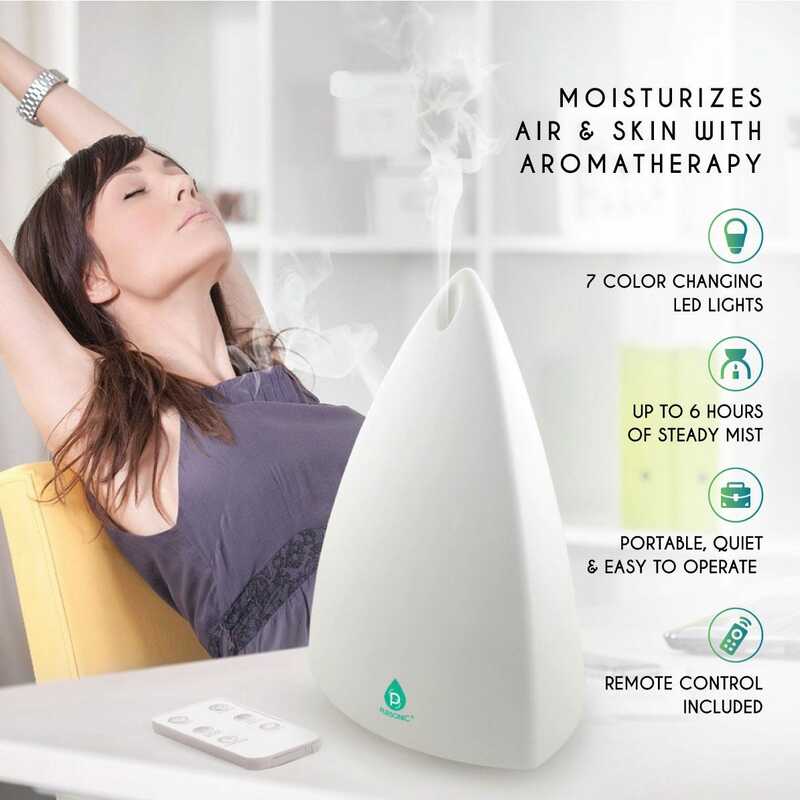 This creates the negative ions that moisturizes the air and your skin allowing you to enjoy the aromatherapy effectively. 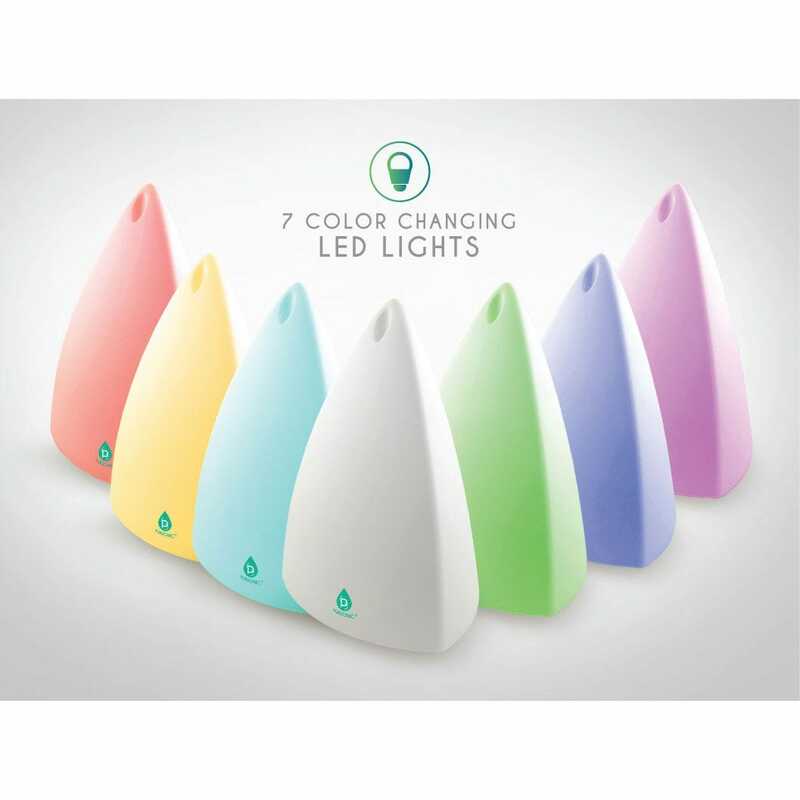 The Diffuser has 7 color changing LED lights that can aid in relaxation. 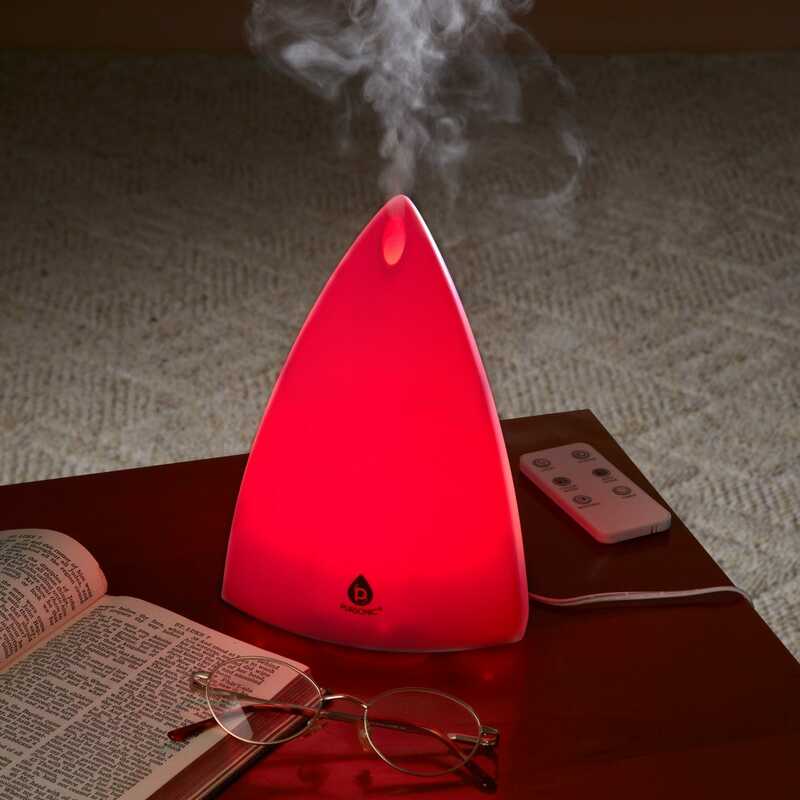 Set a timer to automatically shut off up to 6 hours. 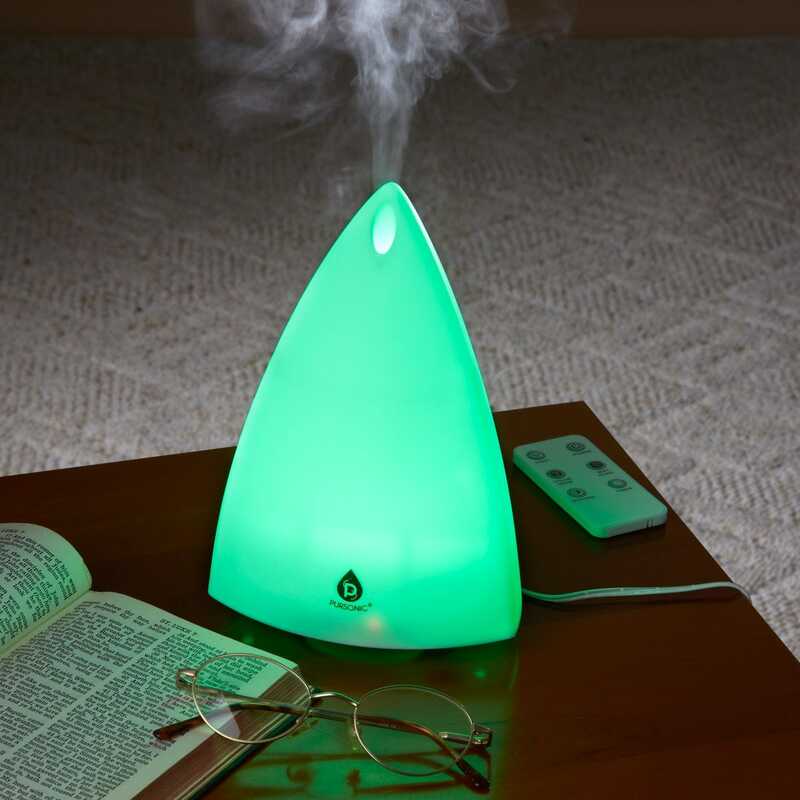 Three to five drops of your favorite oil is all you need in the 4.4 oz. 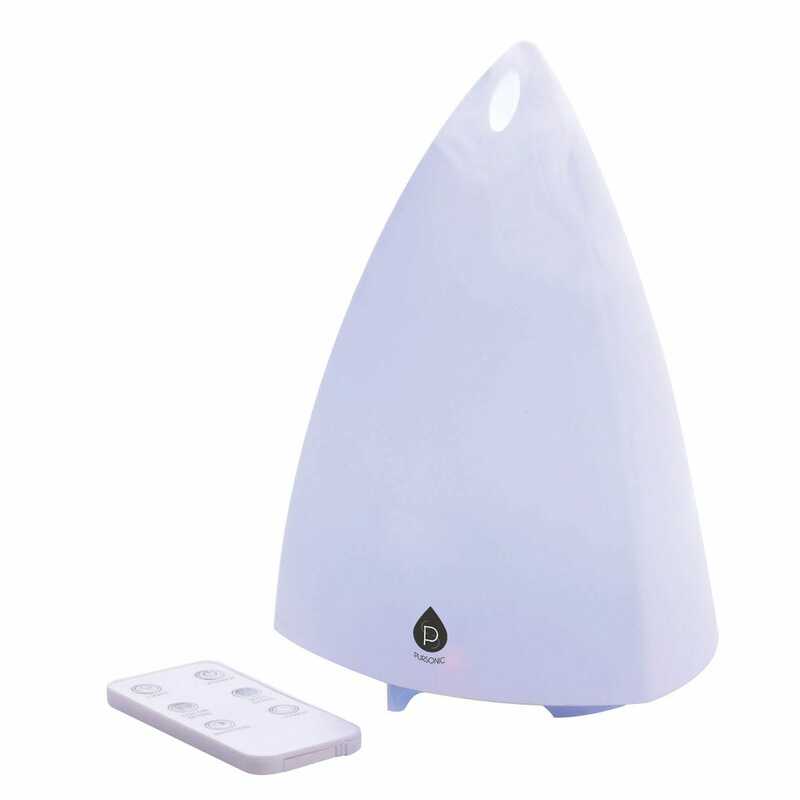 water tank to fill the air in your home or office with a long-lasting fragrance. 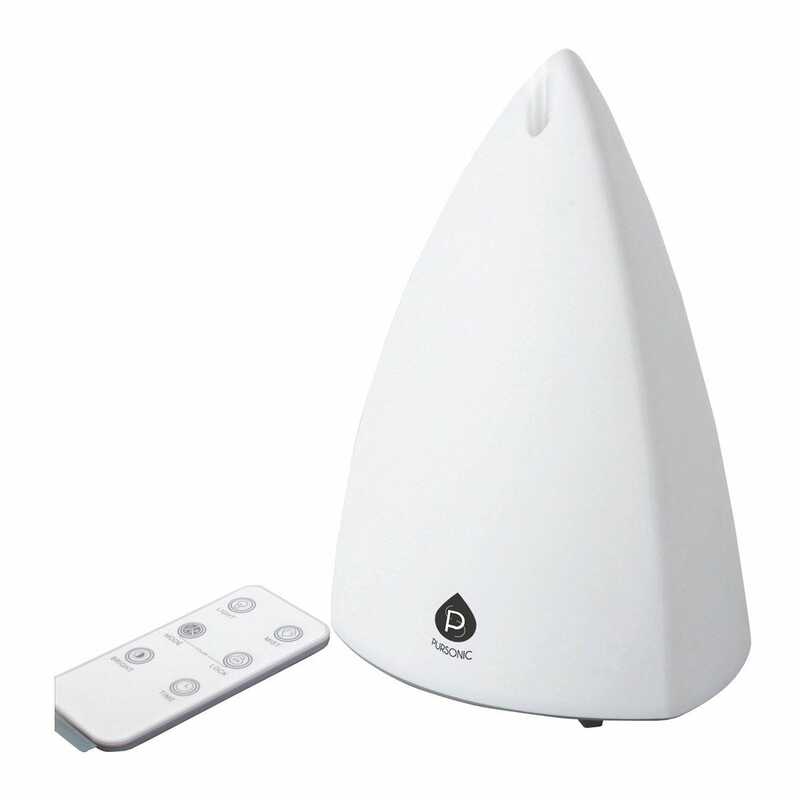 Remote is included to power on your Diffuser, set a timer or change the colors of the Diffuser. Measures 5”l x 5”w x 8”h.